Visited the Kinetica museum in Spitalfields market. They are currently hosting a show curated by Cybersonica with a really good selection of sound art. 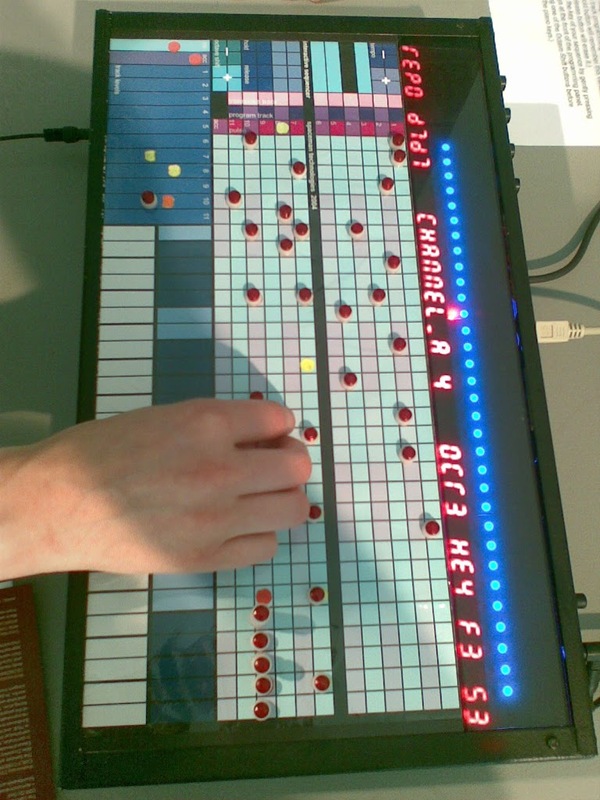 The photo above shows a sequencer developed by Andrew Fentem of Spaceman-Technologies which uses small (yet suprisingly strong) magnets as the input to the step sequencer. Worth trying to get to London to see the exhibiton while it’s still on!